By Amanda Liverzani – Edited by Mengyi Wang Demand Letter to Google, Inc. 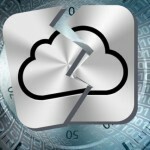 Celebrities impacted by the theft and distribution of personal images stored on Apple’s iCloud service may soon head to court seeking damages from Google for continued copyright infringement and privacy violations. On October 1st, Martin Singer of California entertainment litigation firm Lavely & Singer issued a demand letter to Google on behalf of “over a dozen female celebrities, actresses, models and athletes," alleging that the internet giant dragged its feet halting the spread of the stolen images. Demand Letter at 1. In the letter addressed to Google founder Larry Page and other top executives, Google is accused of failing to remove the private pictures pursuant to the requirements of Digital Millennium Copyright Act (“DMCA”) and threatened with a lawsuit for compensatory and punitive damages that could reach over $100,000,000 unless the offending content is promptly taken down. Id. The images at issue are at the center of the 2014 celebrity photo hacking scandal. In late August, over one hundred stolen personal pictures of mostly female celebrities were posted to imageboard 4chan and later circulated through websites like Reddit. The pictures, which depict big name stars like Jennifer Lawrence and Kate Upton, were acquired illegally through suspected attacks on Apple’s iCloud service. Title II of the DMCA, also known as the Online Copyright Infringement Liability Limitation Act (“OCILLA”), provides “safe harbor” for internet service providers (“ISPs”) like Google against liability for copyright infringing materials shared over their systems or networks if, upon notice of the unlawful content, the ISP “acts expeditiously to remove, or disable access to, the material.” OCCIA, 17 U.S.C 101, § 512 (c)(1)(C) (1998). The demand letter alleges that since the private images were first released in late August, websites and ISPs including Google were issued notices demanding the removal of the images pursuant to the requirements of the DMCA. Demand Letter at 1–2. While the majority of the requests were fulfilled, some within hours, Google has purportedly continued to allow access to the images on Google owned sites like BlogSpot and YouTube, as well as through search results, for more than four weeks. Id. The letter also highlighted that Google’s YouTube counsel and compliance department have refused to remove the images at issue that are uploaded to YouTube through the expedited content verification process that would enable instant removal of such images. Id. at 2. The demand letter points to Google’s slogan “Don’t be evil” and its alleged commitment to “doing the right thing . . . following the law, acting honorably and treating each other with respect” as contradictory to the company’s inaction in the face of rampant copyright infringement and privacy violations. Id. Comparing Google’s conduct to another prominent headline from recent months, the letter asserts that “(l)ike the NFL, which turned a blind eye while its players assaulted and victimized women and children, Google has turned a blind eye while its sites repeatedly exploit and victimize these women.” Id. at 3. After outlining Google’s alleged misconduct, the letter concludes by demanding that Google remove the stolen images from all of its hosted sites and accounts; suspend or terminate any hosted sites or accounts that uploaded, displayed, linked to, or invited the submission of the stolen images; and remove all Google search results for the images. Id. at 3. If Google fails to comply, it may face a high-profile lawsuit on behalf of the female celebrities. Additional commentary on the potential litigation against Google is available from Law 360, Ars Technica, and The Wall Street Journal. Amanda Liverzani is a 2L at the Harvard Law School.